Letter to H.E. 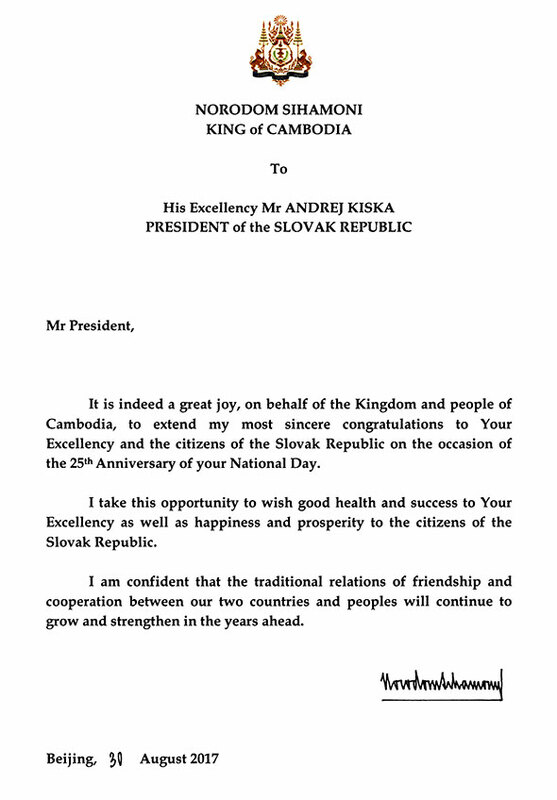 Mr. ANDREJ KISKA President of the Slovak Republic. Letter to H.E. Mr. JOKO WIDODO, President of the Republic of Indonesia. Letter to H.E. Mr. Kim Yong Nam, President of the Presidium of the Supreme People’s Assembly of the Democratic People’s Republic of Korea. Letter to H.E. Dr. TONY TAN KENG YAM President of the Republic of Singapore. Letter to H.E. Mr. ALASSANE OUATTARA, President of the Republic of CÔTE D’IVOIRE.